Ray Kurzweil says computers will match or even beat human intelligence when they possess emotions and a sense of humor. Ray Kurzweil, the celebrated American inventor who keeps predicting the future with scary accuracy, says computers will match -- and possibly beat -- human intelligence by 2029. Here's the trick: By then, computers will possess emotions and personality. "When I talk about computers reaching human levels of intelligence, I'm not talking about logical intelligence," Kurzweil said at an event in New York on Monday night. "It is being funny, and expressing a loving sentiment... That is the cutting edge of human intelligence." The futurist spoke about AI and the future of technology with astrophysicist Neil deGrasse Tyson. When Tyson pushed back and asked if computers will one day write a Nobel-prize winning novel, "and supplant even that aspect of what it is to be human," Kurzweil said he puts it differently. "We're going to combine with that intelligence," Kurzweil responded. How? 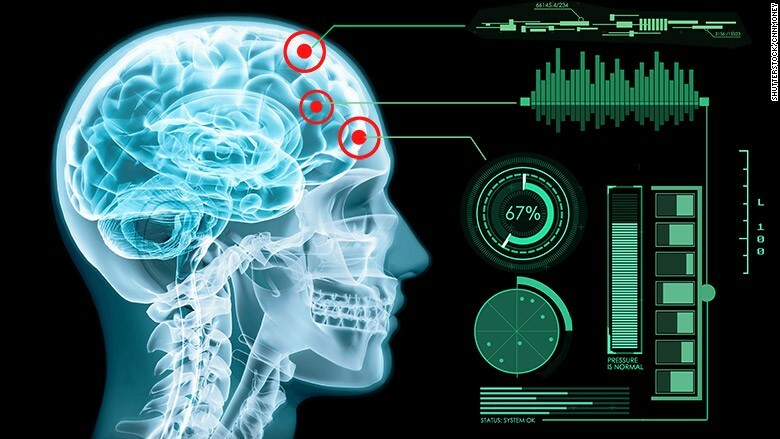 Cell-sized nanobots in our brains will connect us to the global Internet and let us download skills, Matrix-style. We'll also edit genes like computer code to cure diseases, Kurzweil predicts. CNNMoney asked Kurzweil: What happens to inequality in this future? Will brain superpowers and health be limited to the rich? "Yeah, like cell phones," Kurzweil responded. "Only the rich have access to these technologies -- at a point in time when they don't work." Industry perfects products for mass consumption, Kurzweil noted. And the tech will inevitably get cheaper. As computer makers keep doubling the number of chips on a circuit board, the "price performance of information technology" doubles every year, he said. "Nanobots will be available to everyone," Kurzweil said. "These technologies are ultimately democratized because they keep getting less and less expensive." And even if Kurzweil thinks AI will probably replace many of today's workers, he's optimistic about future jobs for humans. But when Tyson pressed him to name specific jobs, Kurzweil was stumped. After all, no one in 1910 could predict today's computer chip designers and website developers. Kurzweil's best bet: Nanobots in our brains will create new bodily senses. Right now, music pleases our ears and fine dining stimulates our taste buds. "We'll be creating art and rituals for our other senses," he said. And where does privacy fit in all this? Tyson brought up Apple's current fight with the FBI, which could grant the government huge legal powers to search our personal devices by weakening data encryption. But Kurzweil told him not to worry. "Encryption is outpacing decryption," Kurzweil said. "That gives me hope," Tyson responded. 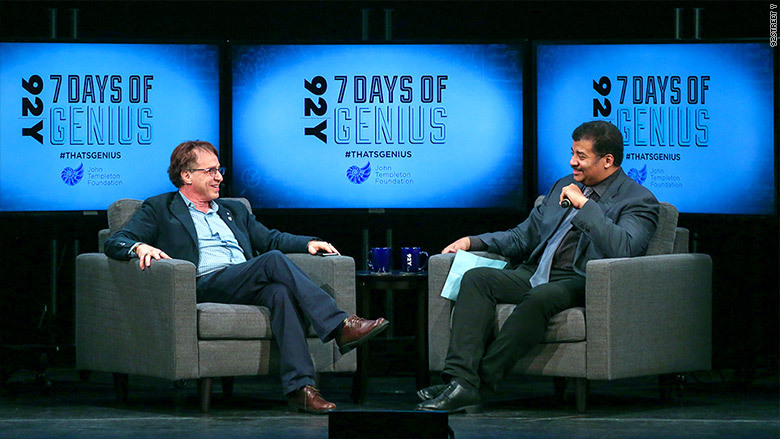 Ray Kurzweil chatted with Neil deGrasse Tyson at the 92nd Street Y for the 7 Days of Genius Festival on March 7, 2016.